As the outside world becomes less and less stable who will everyone turn to for their support? Where will we go when nothing on the outside of ourselves will give us comfort? In our materialistic world we base everything we gain by what brings us security from the outside. Peace Be Still is a process of learning that help us understand the world from our Inner Spirit (our SOUL!). In this book the author gives techniques how to start your Inner Journey and learn how to walk and talk with your Inner God! Each one of us is made in the image of God. We are children of the GREAT GOD! This makes us just like God. 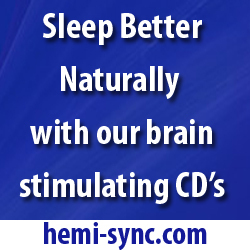 The only thing holding us back is our own sense of smallness. Our smallness separates us from the LOVE we are all searching for and that is the greatest LOVE in this universe! It is time to embrace the GREATNESS that is you... LOVE! "Jeremy McDonald has found that life is filled with miracles, although he has not always welcomed the door to them. Fear and anger used to get in the way of an extra-ordinary life ... until one day Jeremy finally gave in and told God that he will do whatever is required of him. The world Jeremy had created was what he described as hell on earth and he had had enough ... enough drug abuse, enough self-sabotage, enough running from the truth and hiding from himself. Kicking the addiction to his misery, Jeremy began to choose love rather than fear. He replaced many of his fear based thoughts and intentions with positive ones, replacing suffering with bliss. 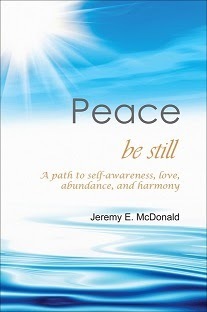 An enlightening and spiritual book, Peace Be Still is exceptionally inspiring. Filled with personal stories interwoven with life wisdom and spiritual teaching, Peace Be Still will highlight the reasons why your life could be magnificent, if you simply take a step out of your own way and allow it.